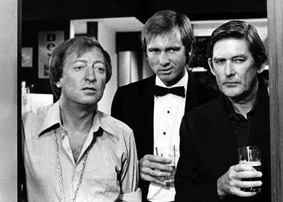 It could be argued that Graham Kennedy was the star that Australian television just had to have. The mythology built up around him has required, as perhaps do all such mythologies, a significant process of forgetting in order that the nation, and the television industry, might share in something great. Kennedy’s solitary decline and demise has undoubtedly contributed hugely to the project of memorialisation, as has the near-enough synchrony of his death with Australian television’s half-century celebrations. Only in death could Kennedy’s ‘star image’ completely slough off the documented unevenness of his national popularity. In fact, Errol Simper gives Kennedy’s surcease a certain tactical spin: “Perhaps death was predominantly kind to Kennedy, whose reclusive lifestyle since his 1991 retirement allowed him control of his own image.” (1) Kennedy’s death added the finishing touches to his legendary status, allowing the nation to forget the geographic limitations of his initial appeal as well as the fragmentary nature of pre-network television. 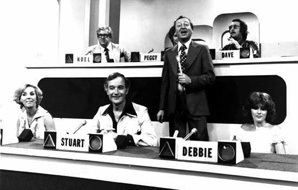 In this article, I want to scrutinise the popular, media-driven investment in Graham Kennedy’s stardom and its intersection with a particular vision of Australian television. As part of this analysis, I intend to focus on the way that Kennedy’s film roles worked to investigate this television-centred discourse of stardom. 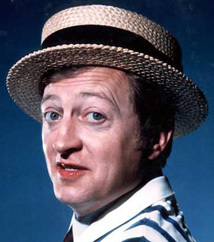 Kennedy’s place in the television pantheon is constructed around a sense of his absence, the fact that no one knew the ‘real’ Graham Kennedy. Frequently described as a star within popular critical commentary, Kennedy himself eschewed the language of presence and familiarity conventionally associated with television: “Many people think I’m a television ‘personality’. I never have been! Just someone who acts it!” (2) It is from within this context that Kennedy’s film roles were investigated for their authenticity, their capacity to deliver the real Graham Kennedy. The ability to break down the barrier between television studio and audience has been offered on many an occasion as the key to Graham Kennedy’s television genius. In the early days of television, critics and commentators insisted that the successful television appearance depended on an inherent knack for being natural on camera. Performers needed “that easy grace or ‘fireside manner’ which appeals to the family group” (3). In an early profile published a matter of months after Kennedy’s début, a journalist suggested that the young performer’s popularity owed a lot to the advice given by his late radio partner, Clifford Nicholls Whitta: “‘Nicky’ taught Graham one very important thing – to be himself.” (4) Notably, however, even in this very early interview, Kennedy was already gesturing to the artifice inherent in this idea of “playing yourself”. He explained to his interviewer that he was “careful to under-play himself”, as “they will tire of you if they get too much” (5). Fortuitously for Kennedy at the time, in the midst of the escalating fracas with Myles Wright of the Broadcasting Control Board, his image was enhanced by Philip Adams’s offer of a role in Don’s Party (Bruce Beresford, 1976), a film adaptation of the successful David Williamson play. Kennedy spoke of the film as an opportunity to redefine himself as a performer: “I’m already an actor in a sense, I know. But I’d like to be a legitimate actor, and if I ever do get into Who’s Who, I hope it may say ‘compere, writer, actor’.” (20) Prior to Don’s Party, Kennedy’s few film appearances had been underpinned by his television persona. His cameo role in They’re a Weird Mob (Michael Powell, 1966) played on his attempts to break into the Sydney television market and he played ‘himself’ in The Box (Paul Eddey, 1975), or, more precisely, as he informed an interviewer, “the television Graham Kennedy” (21). Roles such as these flattened Kennedy out in a way that his actual television appearances never did. In contrast, with its mixture of energy, crudeness and contemporaneity, Don’s Party reinvigorated and stretched Kennedy’s larrikin television persona, and identified it with the energetic revival of the national film industry in the 1970s. In certain respects, Don’s Party offered a resolution to the ineffable attraction Kennedy held for his television fans. When he was doing the publicity rounds for Don’s Party, he became, for the moment, less an enigma to be understood than a veteran worthy of respect: a ‘legitimate’ actor in an authentic industry with a genuine æsthetic. Curiously, although it was agreed by those who liked Kennedy’s performance that its success depended on his capacity to make people forget that he was ‘Gra-Gra’, the veteran television personality, the commentary wavered between a respectful recognition of Kennedy’s capacity to slough off his onerous television credentials and a contrary reassertion of those same credentials. Fellow cast member John Hargreaves exemplified this ambivalence by enthusing, in one interview, that Kennedy “virtually had to forget everything he ever knew” (31) and, elsewhere, that “even in his television days there was a great degree of acting in what he did.” (32) This waver is, in fact, informed by an uncertainty engendered by the misfit between Kennedy’s mystique and the conventional idea of the television personality. In the case of Graham Kennedy, his film performances, did not work to create the allure of stardom, as he already had that. 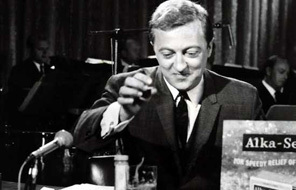 Rather, Kennedy’s film performances were investigated for their capacity to reveal the Graham Kennedy held back from the television performance. Albeit construed as potentially more authentic than any television act, the film performances were required to solve a television-produced enigma: the fascination was for the man in front of the television camera. In this respect, it is interesting to note the similarities between the four major roles of Kennedy’s brief film career: Mack (Don’s Party), Harry (The Odd Angry Shot), Ted (David Williamson’s The Club, Bruce Beresford, 1980) and Freddy (Travelling North, Carl Schultz, 1987). In each of these parts, his character is a loner, unable to sustain an intimate relationship. When Kennedy commented in a 1982 interview, “I always seem to play little drunks, little fat balding drunks with funny eyes and they never get the girl” (33), his implication was that he was always being asked to play himself. In the three films scripted by David Williamson, his character is pitiable and flawed. 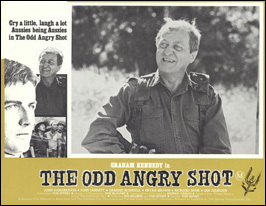 The Odd Angry Shot attempted a different inflection, with Kennedy taking on the part of a ‘macho’ SAS patrol leader, but this incongruous casting against the grain adds more than a little pathos to his performance. Accordingly, at the time of their release, Kennedy’s film roles functioned as a meditation on the ‘real’ Graham, the man behind the mask. 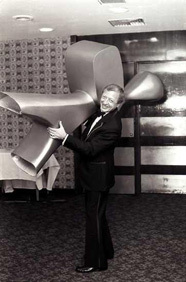 Kennedy had always been very conscious of the uncertain status of his particular genre of television entertainment, and was outraged when, in 1973, his bête noir, Myles Wright, described Kennedy’s evening program as a “Tonight–type show” to be contrasted with the more esteemed “quality variety” (36). Yet, the hierarchy of taste that lends television drama a gravitas unavailable to ‘light entertainment’ is expressed even more explicitly in the cultural distinction between the institutions of cinema and television. In this context, it is interesting that John Langer, in his influential 1981 article on television’s ‘personality system’, suggests that the structured intimacy of television is articulated in binary relation to “the classical paradigm of the star system”. No matter how bourgeois cinema may have become, “the ‘magic’ of the silver screen still lingers while, in the realm of television, ‘the everyday’ has superseded and supplanted the ‘exceptional’.” (37) Langer references cinema only to clarify the identifications peculiar to television, but it is perhaps inevitable that television is diminished by the comparison: the star system offers fantasy whereas the personality system is a con, “creating the illusion that the powerful are in fact seeking an audience with us” (38). One of the key planks of Kennedy’s construction as a television star is that his genius as a television performer was unique and, accordingly, never to be seen again. As long-time colleague, Stuart Wagstaff commented after Kennedy’s death, “They say ‘The King is dead, long live the King.’ But there isn’t a King to take over from him. He was a one off.” (39) At the same time, when reading the tributes to Kennedy in the days after his death, it is interesting to note the frequency with which the celebration of his uncanny affinity with television is boosted by a referencing of his success in film. With a very few exceptions, Kennedy’s star status was reaffirmed and stabilised by the flood of commentary following his death (43), but the sideways glances at film imply a niggling consciousness on the part of the various commentators that to be a star on television was not quite enough. Kennedy’s star image had in fact been defined by the transience and fragile status of the television performance. However, Kennedy’s reconstitution as legend within the realm of popular memory has required a certain repression of this intimation of lack, and a recourse to the legitimacy of film. Errol Simper, “We had no expectations, and he met them”, The Australian, 28 May 2005, p. 22. John Mangos, “The King and I”, The Bulletin, 7 June 2005, p. 31. C. L. Faudell, “Elusive TV Personality: ‘Fireside Manner’ Necessary for TV”, The Age, “Radio/TV Supplement”, 28 June-4 July 1957, p. 2. Michael Ryan, “The Thin Man of TV”, The Age, 19 September 1957, p. 10. Mike McColl Jones, “One-off Genius Stole our Hearts”, Herald-Sun, 26 May 2005, p. 6. This remark has also been claimed by John Mangos and Stuart Wagstaff. Leader, The Australian, 26 May 2005, p. 10. Jack Robertson, “RIP the Fool-King of the Reality TV Clones”, “Margo Kingston’s Webdiary”, The Sydney Morning Herald, last accessed 19 July 2006, p. 1. Graham Perkin, “Anatomy of a Star System: The Very Public Private Life of Mr. Graham Kennedy”, The Age, 31 May 1961, p. 11. Graham Kennedy, interview with John Burrowes cited in Graeme Blundell, King: The Life and Comedy of Graham Kennedy (Sydney: Pan MacMillan, 2001), p. 229. Donald Horton and Richard Wohl coined this term to describe the particular relationship of personalities in the broadcast media with their viewers. See “Mass Communication and Para-Social Interaction”, Psychiatry 19, 1956, pp. 215-29. John Ellis, Visible Fictions: Cinema: Television: Video (London: Routledge and Kegan Paul, 1982), p. 138. For instance, the television documentary The King of Television (Tony Sattler, 2000) is very clear on the details. Alan McKee, Australian Television: A Genealogy of Great Moments (Melbourne: Oxford University Press, 2001), p. 27. Garrie Hutchinson, “Graham Kennedy: The Funny Melbourne Television Phenomenon”, Meanjin, 46:2, June 1986, p. 263. Peter McDonald, “Inside Graham’s lair”, TV Times, 12 April 1975. Kennedy to Sally White, “The King, Tired of TV, Seeks a New Mistress – the Cinema”, The Age, 1 April 1977, p. 2. “Kennedy Steals Don’s Party”, TV Times, 27 November 1976, pp. 2-3. Of the television critics of the 1970s, Graeme Blundell comments that Kennedy was “often an object of envy fear and loathing by reviewers” (p. 284). The ongoing resistance to Kennedy in Sydney has been much documented. On the other hand, during the 1960s he regularly flew to Adelaide to host In Adelaide Tonight. “Sydney Blanks Graham”, Scene, 15-21 October 1977, p. 4. Kennedy to Clive Bolton, “The Conscience of the King”, The Australian, 30 January 1978, p. 8. For instance, the first pressing of a record album made from the show’s outtakes had to be destroyed because it was “too hot”, Scene, 19-25 November 1977, p. 3. Christine Richter, “Blankety Blanks Uproar”, TV Week, 4 November 1978, p. 5. Bev Tivey, “Comic Relief for War Veterans”, Daily Telegraph, 23 March 1979, p. 28. Paul Fischer, Campaign, 41, February 1979, p. 38. The Canberra Times, 7 February 1979, p. 21. “Graham’s Winning Switch”, Scene, 24 March 1979, p. 8. Hargreaves to Joanna Parsons, Fred Robertson and Eric Scott, “Graham Kennedy, the Man and the Myth, Part 2”, TV Times, 22 September 1979, p. 28. Kennedy to Mary Rose Trainor: “Graham Kennedy: ‘I always seem to play little drunks, little fat balding drunks with funny eyes who never get the girl.’” The Sydney Morning Herald, 18 September 1982, p. 29. Kennedy to White, p. 2. Kennedy, interview with Richard Glover, The Sydney Morning Herald, “The Guide”, 18 July 1984, p. 2. John Langer, ‘Television’s “Personality System”’, Media Culture and Society 1981, 4, p. 354. Stuart Wagstaff in “Farewell to a King with no Successor”, AAP General News Wire, Sydney, 25 May 2005, http://0-proquest.umi.com, accessed 13/03/2006. Tingwell was quoted in Cameron Stewart, “Death of TV’s Larrikin Legend”, The Australian, Vic-Country edition, 26 May 2005, p. 1. Brian Courtis, “Death of a TV Giant”, The Age, 26 May 2005, p. 16. In fact, Courtis, supported his commentary with Tingwell’s observation that Kennedy had “been good enough to win an Oscar”. Ernie Sigley in “Kennedy Loved, Detested TV, Sigley”, AAP General News Wire, Sydney, 25 May 2005, http://0-proquest.umi.com, last accessed 13/03/2006. Ray Martin stands out for his insistence that the “slow, sloppy and even tedious” aspect of Kennedy’s improvisational style would have made him unsuitable for present-day television. Simper, p. 22. Susan Bye holds an Australian Postdoctoral Fellowship in the Department of Media Studies at La Trobe University. Along with Sue Turnbull and Felicity Collins, Susan is involved in an ARC funded study of Australian Screen Comedy.